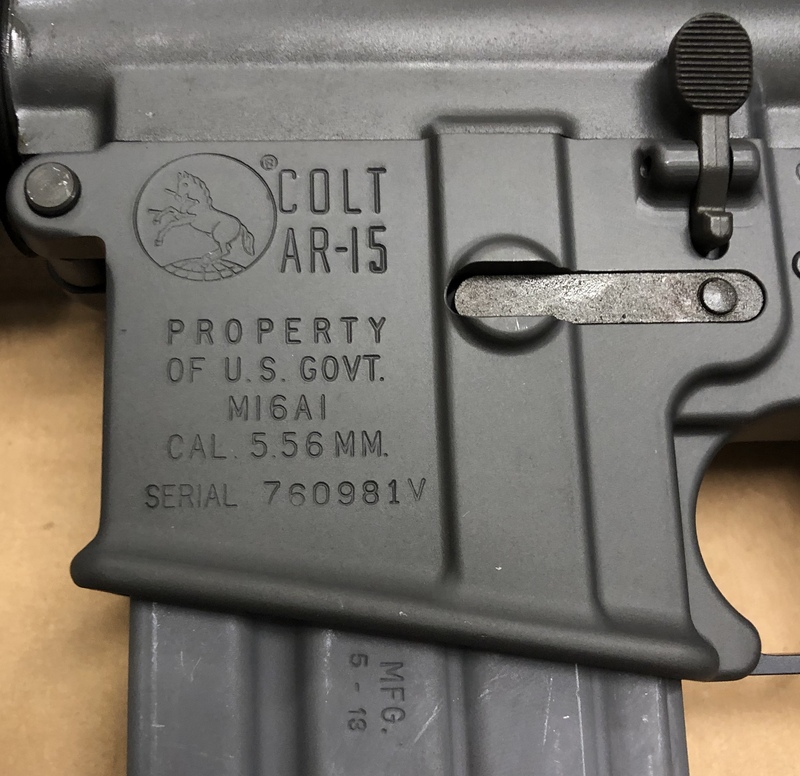 Colt M16A1 Retro Vietnam ERA Rifle. Collector quality throwback to the Vietnam Era. Receiver constructed of 7075-T6 aluminum material with black hardcoat anodized finish. 4150 CMV barrel with Manganese Phosphate finish. 1:12 right hand twist, 6 grooves and chrome lined. Safety selector switch. A1 fixed front and rear sight. Single stage trigger. Government A1 grip. Direct Gas Impingement. Includes 1- twenty round USGI magazine, manual, cable lock. When ordering, put the FFL's name in the Ship To Address so that we can match your FFL up to your order. Then have your dealer fax or E-mail their license to us.